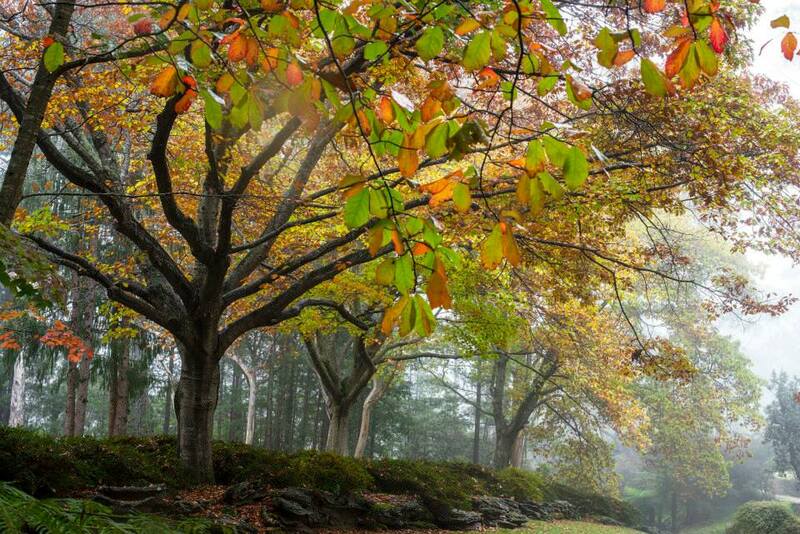 Autumnal hues and mild weather make autumn an ideal season to explore the Blue Mountains, Lithgow and Oberon region and venture onto bush tracks in the Greater Blue Mountains World Heritage Area. 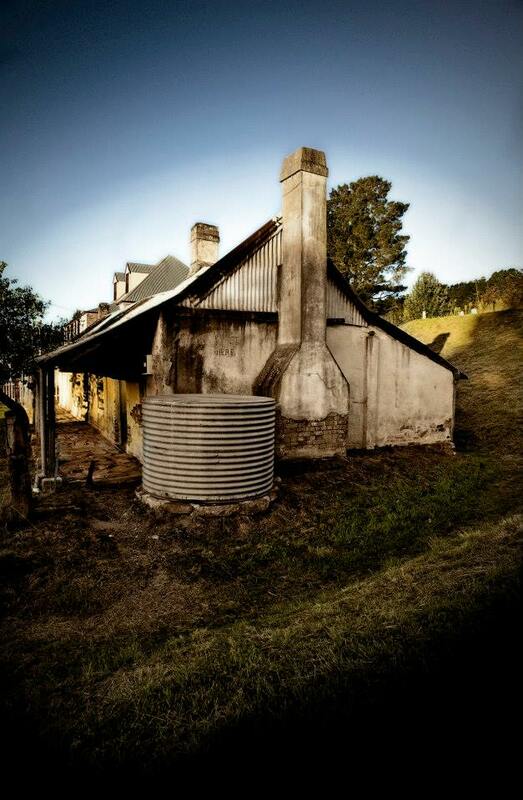 A great all-weather activity at any time of year is a visit to Blue Mountains Cultural Centre www.bluemountainsculturalcentre.com.au at Katoomba. On display during April is the audiovisual exhibition Instance by Honi Ryan and Desire, a collection of works exploring how our desires create who we are. 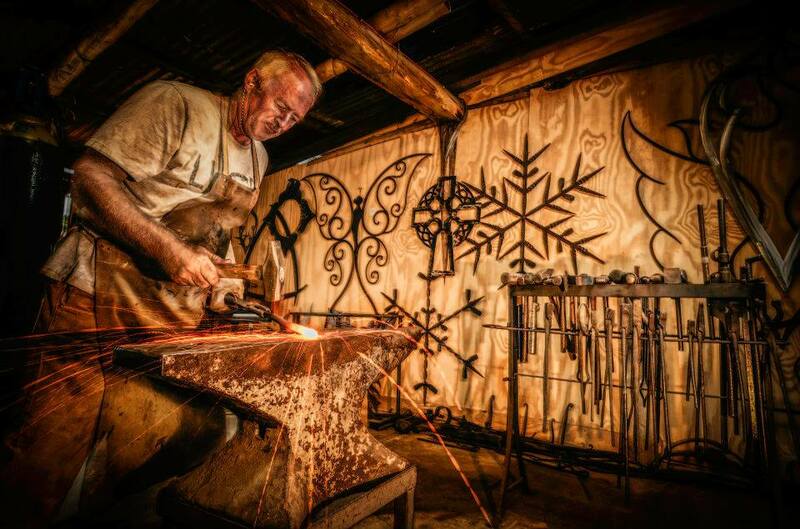 Experience humanity through the ages and even other worlds at the “festival with a metal edge’’, Ironfest at Lithgow (April 25-27, ironfest.net). 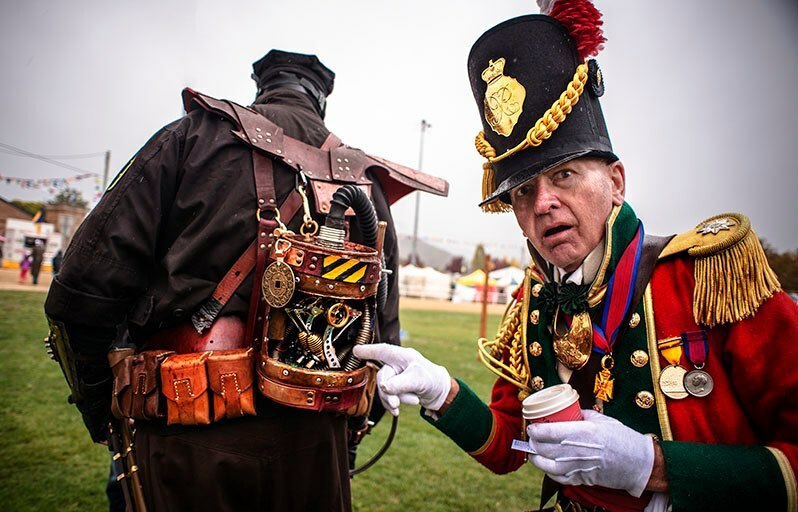 The annual festival brings together artists, designers/makers, blacksmiths, performers of all kinds, musicians, historical re-enactors and more. 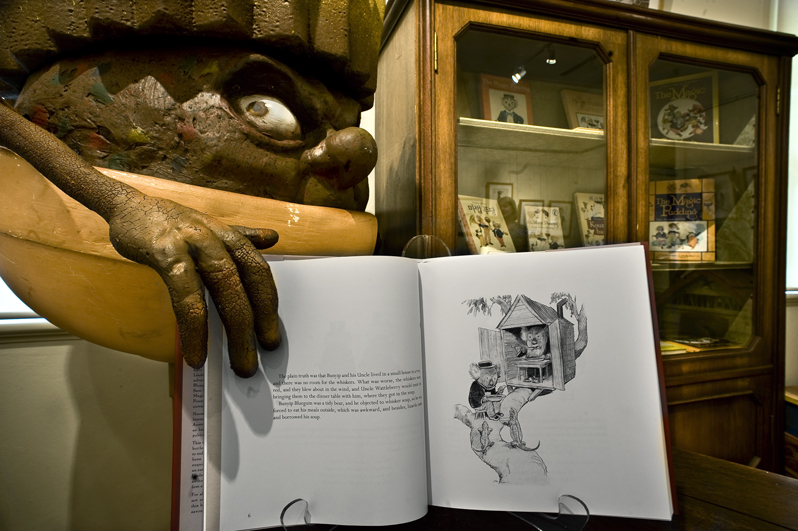 A national treasure, Norman Lindsay Gallery & Museum at Faulconbridge www.normanlindsay.com.au, will hold its annual Pudding Day children’s literature festival and celebration of The Magic Pudding (April 14). Join John Marsden, Cartoon Dave, Emily Rodda and those sneaky puddin’ thieves for a day of family fun. Another beautiful National Trust property, Everglades Historic House & Gardens at Leura www.everglades.org.au, will host a fabulous display of wedding dresses through the ages staged by The North Shore Cavalcade of History and Fashion (April 12). Explore the great outdoors with mushrooming in the state forests around Oberon, soak up the ambience of Sculpture at Scenic World and be sure to pay a visit to the many spectacular gardens throughout the Blue Mountains, Lithgow and Oberon region resplendent in autumnal hues including those at Mt Wilson, Blue Mountains Botanic Garden at Mount Tomah mounttomahbotanicgarden.com.au, Leuralla at Leura www.leurallatoyandrailwaymuseum.com.au and Mayfield Garden at Oberon www.mayfieldgarden.com.au. 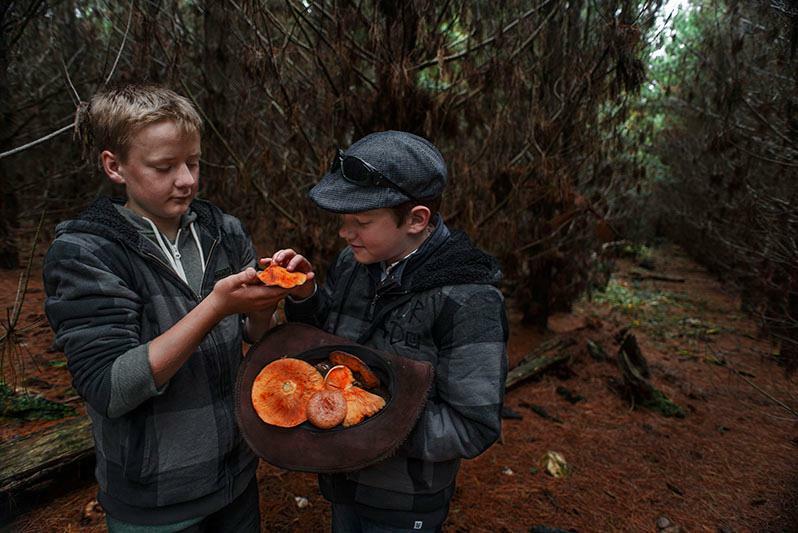 And celebrate local and regional produce and sustainable living through the Autumn Sustainable Food Festival, with the TomahROMA http://www.mounttomahbotanicgarden.com.au/event.asp?pid=7&id=169 launch event at Blue Mountains Botanic Garden on May 3, the Leura Harvest Festival http://leuravillage.com.au/fairsandfestivals/ (an incentive of Leura Village Association) finale event, on May 10, and other satellite events throughout the region in between. 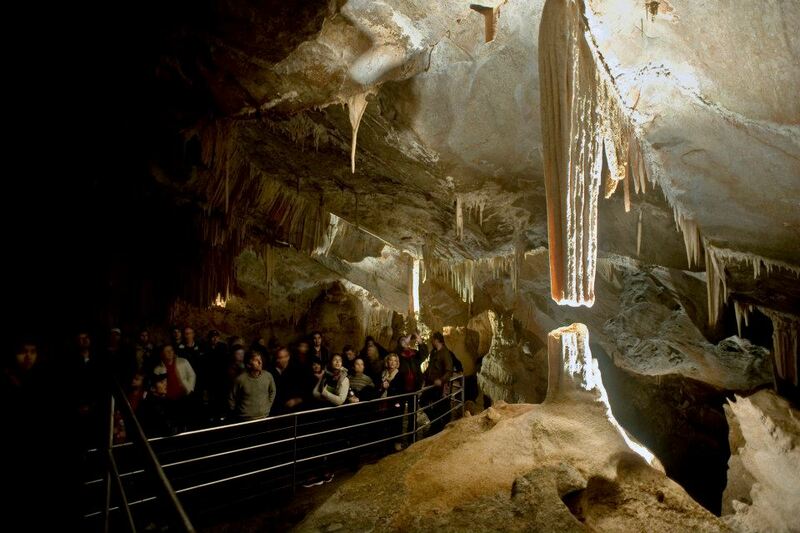 Commemorate Easter at a free non-denominational service in the Underground Group in the majestic setting of the Cathedral Chamber of the Lucas Cave at Jenolan Caves (April 20) www.jenolancaves.org.au. 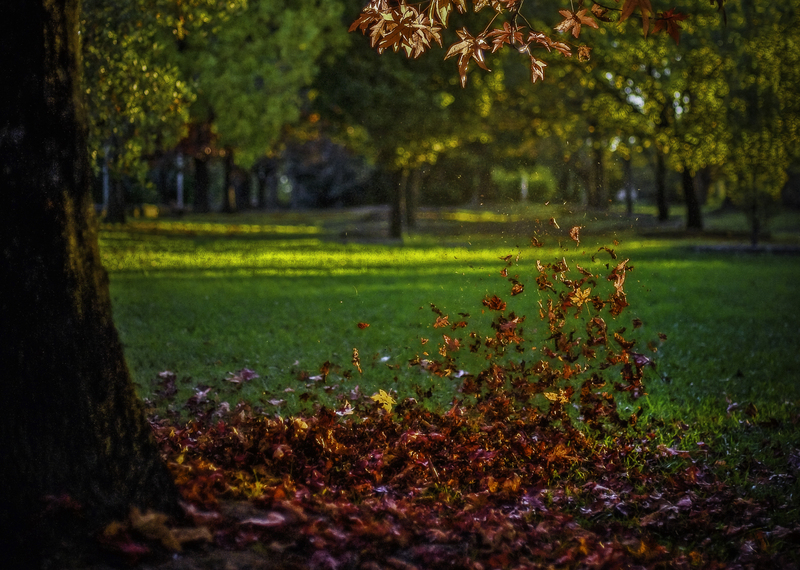 Whatever you decide to see and do, be sure to fully immerse yourself in the Blue Mountains, Lithgow and Oberon region and treat yourself to a short stay at any number of accommodation providers to suit all budgets. Easy to get to. Impossible to forget. The Blue Mountains is home to more internationally recognised avant-garde artists than any other non-metropolitan area in Australia. Seven will feature in an upcoming exhibition at Blue Mountains Cultural Centre, evocatively titled DESIRE. A themed curatorial response to the 19th Biennale of Sydney – You Imagine What you Desire, artists Sarah Breen Lovett, Mike Parr, David Haines and Joyce Hinterding, Joan Ross and Ken and Julia Yonetani explore the results of pursuing our every whim, want or wish, in a society where desires are encouraged, exploited, and drive and motivate our everyday lives. 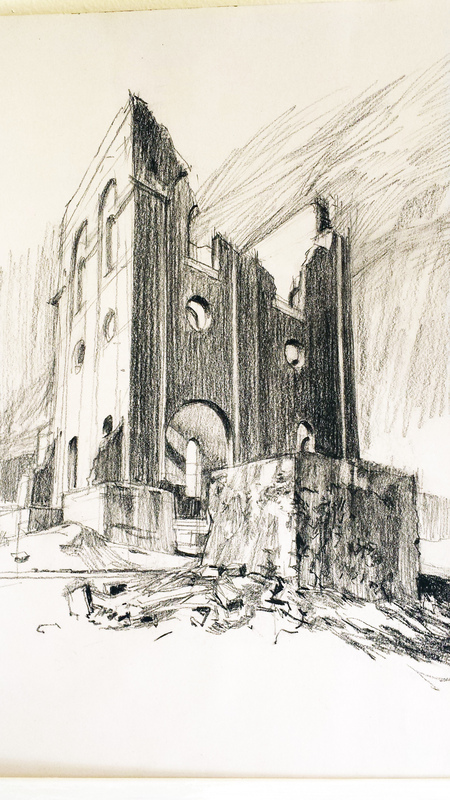 Lovett has made a study of the ruined Renaissance building in Katoomba that was originally St Mary’s Convent. 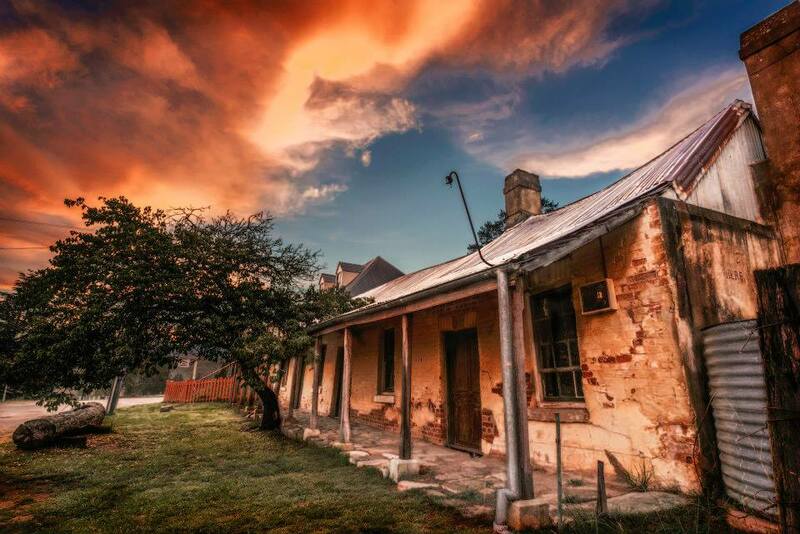 Titled Ruin Lust (2014), Lovett has created a filmic slide show of the old convent as it is today accompanied by a sound track in which six people share their dreams of what the building could become. Two Blue Mountains business people and four artists – Jacqueline Brinkman, Michael Brischetto, Billy Gruner, Sarah Keighery, Ian Milliss and Mandy Schöne-Salter, provide this sound track. Parr has created a series of vast self-portraits in a great variety of mixed media including charcoal, ink, pastel, watercolour, coloured pencil and graphite. Together they create one extensive drawing approximately 14m long. Haines and Hinterding are both distinguished artists in their own right who have collaborated to make a complex multi-media installation in two parts, titled Alien Metaphysics (2014). 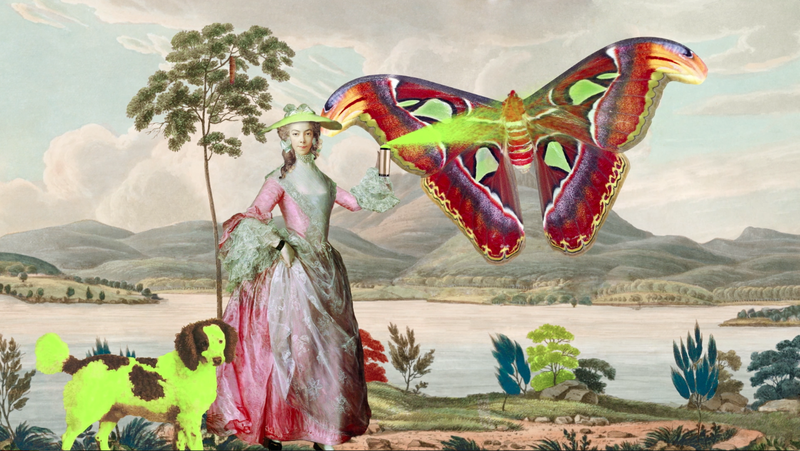 Ross creates digital animations and prints of colonial figures in the Australian landscape. The work included in DESIRE is from her series Touching Other People’s Shopping (2013) which explores the uncontrollable desire to take other peoples things: land, animals, shopping and culture. The Yonetanis have created an installation that is a sculptural rendition of the classic 17th century still life group. These sculpted images are made out of gleaming white salt denoting the sparkling quality and grandeur of pure marble, an association that is pertinent to a vanitas such as a still life. DESIRE will be exhibited at Blue Mountains Cultural Centre, 30 Parke St, Katoomba, from 10am-5pm Monday to Friday and 10am-4pm weekends, from March 14 to May 11. It will be officially opened by Dr Anne Graham at 6pm Friday, March 14. Admission: $5 adults, $3 concession, members and under-16 free. Creative Futures Forum: Sarah Breen Lovett, David Haines & Joyce Hinterding. Go to www.bluemountainsculturalcentre.com.au for more information. Take a creative family escape to the Blue Mountains for Sculpture at Scenic World 2014 where children and families can explore together the 31 unique sculptures curated within Scenic World’s Jurassic rainforest. Now in its third year, the exhibition (April 24 – May 18) has again been supported by iconic Blue Mountains hotels and resorts offering a range of special packages designed for this major international cultural event. The public program has just been announced offering exciting opportunities for art lovers, enthusiasts, children and families alike. Participants will learn new skills, gain insights and engage in open forums. Highlights include free guided tours for the general public including a tour tailored for families and artist talks providing an opportunity to engage in lively discussions with a selection of exhibiting artists including Blue Mountains-based Roger- Foley Fogg, Sydney-based Angus Adameitis and Marcus Tatton from Tasmania. The free evening program returns with a notable highlight a lecture by Anthony Bond OAM, Unsworth the Great Romancer. Bond was director curatorial at the Art Gallery of NSW for 28 years where he developed a close working relationship with Ken Unsworth. 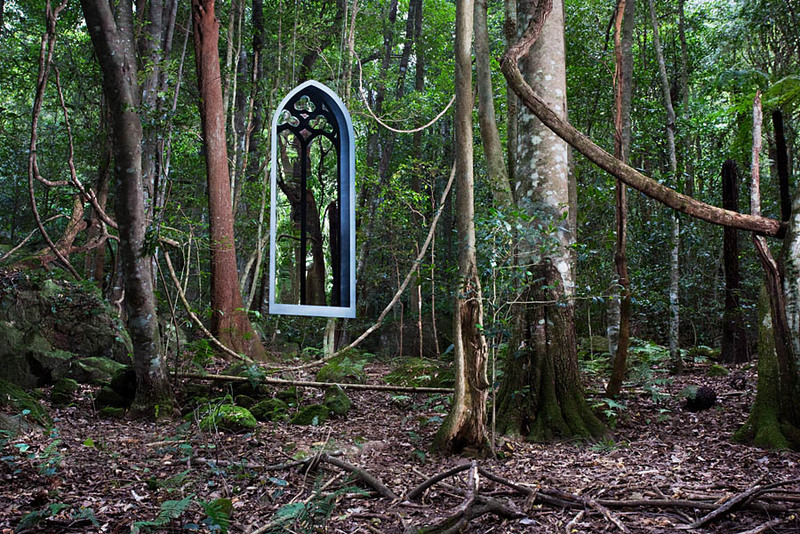 In this special lecture Bond will discuss Unsworth’s oeuvre as well as his current site-responsive sculpture Harlequin’s Shuttle which will feature in this year’s Sculpture at Scenic World. New in 2014 will be Sculpture Conversations, a dynamic evening forum featuring exhibiting artists discussing diverse perspectives within their art. The highly anticipated Sculpture for Small People returns with an exciting new program. The $10 hour-long workshops for children aged 3 to 9 years which sold out in 2013 will be a great opportunity for children to engage with exhibiting artists and learn new skills in a fun atmosphere. Celebrate Mother’s Day with a specially-designed workshop during which mum and child will have the chance to create and explore together in this coloured glass workshop led by Blue Mountains artist Kayo Yokoyama. Exhibition manager Lizzy Marshall said the 2014 public program was designed to allow all audiences to engage with the 31 sculptures and feel part of the experience through intimate and interactive events that delivered a fresh perspective on the artists’ responses to the surrounding landscape. 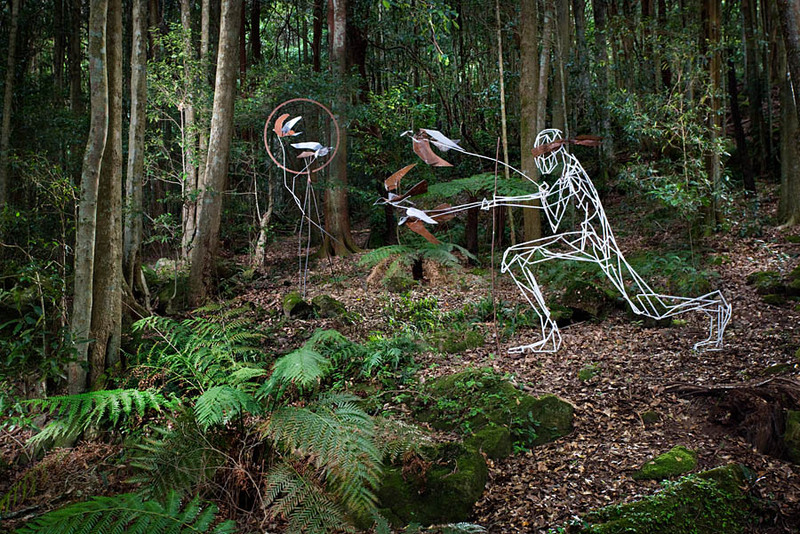 To capture the full Sculpture at Scenic World experience featuring a special sculpture project from Ken Unsworth alongside a Yuin artist (NSW south coast), international artists from the People’s Republic of China and Hong Kong, 17 NSW artists, 10 from the Blue Mountains and one from Tasmania, take advantage of great value Sculpture at Scenic World overnight packages. 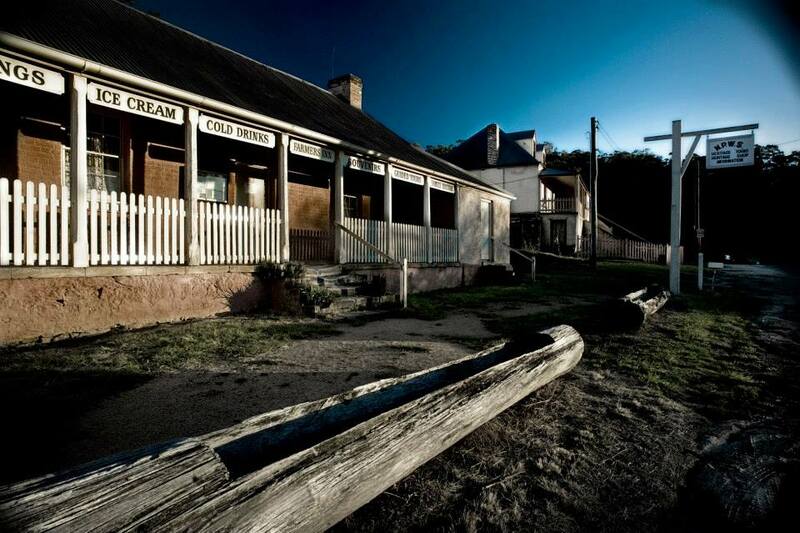 The Carrington Hotel – Premier Package – AU$257.50 for 2 adults or AU$349 for family (2 adults and 2 children under 14 years). Includes overnight accommodation in a Premier View Spa Room and continental breakfast in the Grand Dining Room. (2 adults and 2 children under 14 years of age). Includes: overnight accommodation in a Colonial Room (standard ensuite room), and Continental breakfast in the Grand Dining Room. The Fairmont Resort MGallery Collection – City Experience Family Package from AU$329 (2 adults and 2 children under 12), Includes: overnight accommodation in a spacious Fairmont room, buffet breakfast in Jamison’s Restaurant, and free kids activities during school holidays. Echoes Boutique Hotel & Restaurant – Sculpture at Scenic World Package from AU$629 per night for 2 adults (subject to availability). Includes: overnight accommodation for two adults; full breakfast for two in Echoes Restaurant; three-course a la carte dinner at Echoes Restaurant and complimentary use of all leisure facilities Lilianfels Resort & Spa. Mountain Heritage – Scenic Sculpture Package (midweek) from AU$258 for 2 adults for bookings Sunday – Thursday (subject to availability). Includes: overnight accommodation in a Heritage Room, and continental breakfast for two. 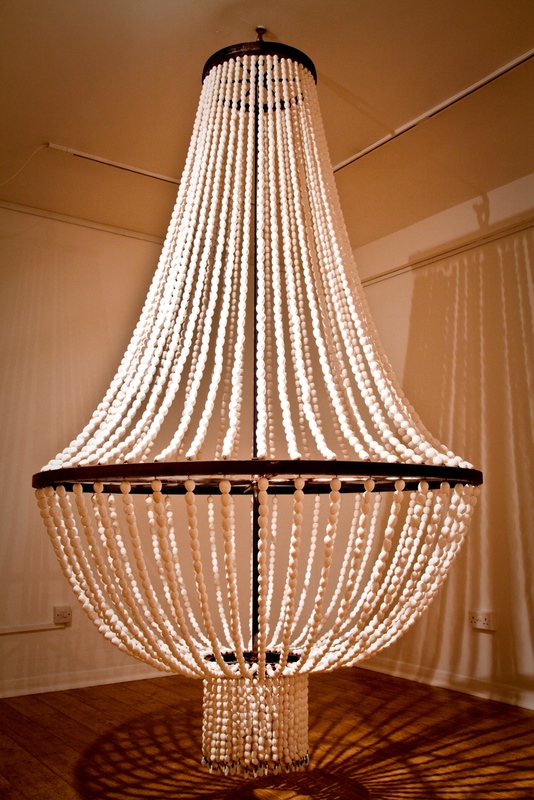 Scenic Sculpture Package (weekend) for AU$418 for 2 adults for bookings Friday or Saturday (subject to availability). Includes: overnight accommodation in a Heritage Room, two course dinner with complimentary bottle of house wine and continental breakfast for two. Sculpture at Scenic World is a free event on purchasing the Scenic World’s Ultimate Discovery Pass ($35 adults, $18 children (3-14 years), $88 families of five, $32 concessions). The pass includes unlimited rides on the Scenic Railway, Skyway, Cableway and Walkway. Pre-purchased tickets to Sculpture for Small People is $10 per workshop including materials. View the full public program and more information Sculpture at Scenic World and ticketing and packages visit- www.scenicworld.com.au/sculpture. 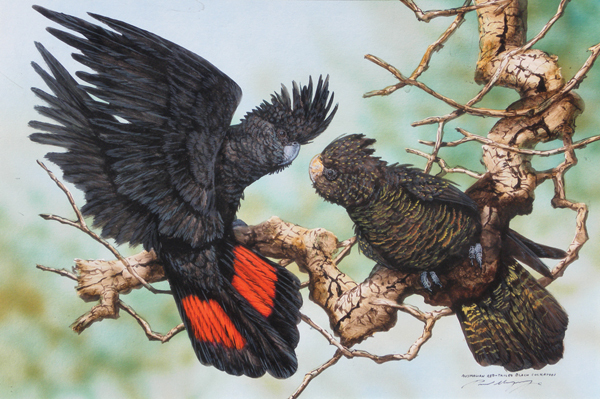 Visit Lost Bear Gallery at Katoomba and be swept up in the movement of celebrated wildlife artist Paul Margocsy’s bird paintings next month. Melbourne-based Margocsy is a widely renowned artist with a distinguished career. He is particularly known for his portrayals of Australian birds and although he describes himself as a self-taught artist, he has undertaken extensive research into ornithology. “I consider myself very lucky that I am able to portray nature in such a way that the public enjoy it just as much as I do painting it,’’ he says. “Having been a wildlife artist for 35 years, I am still amazed at the things I am still learning. “I endeavour to give my subjects different characters and expressions. Movement is essential in the way I show the emotions of birds and animals. “Most people who view my work do not believe that I have used watercolour. I try to explain to them that it is the medium but not the technique. “I am blessed with a photographic memory and only have to look at a subject for a few moments and I can capture it in my memory bank. “It is here where I transform the image into a composition. Margocsy will conduct demonstrations of his painting technique at the gallery from 10am to 12pm on Saturday, March 1, and Sunday, March 2. The exhibition opening will be held Saturday, March 1, from 3pm to 5pm. All welcome. The Margocsy exhibition will run from March 1 to 24. Lost Bear Gallery, 98 Lurline St, Katoomba, is open from 10am to 5pm daily. Details: (02) 4782 1220 or www.lostbeargallery.com.au. The inaugural Draw on the Mountain festival not only created a world first, but lured visitors to and around the region and resulted in overnight stays. The 10-day long drawing festival in September hosted the world’s first sketchbook trail competition as part of its workshops, talks and exhibitions program. Participants toured key Blue Mountains and Lithgow destinations including Norman Lindsay Gallery at Faulconbridge, Lithgow Blast Furnace Park, Lawson waterfalls, Scenic World and the streets of Leura and Katoomba creating sketches for the sketchbook competition. The judges for the exhibition (Lost Bear Gallery owner Geoff White, National Art School lecturer and artist Jeff Rigby and Wild Valley Art Park director and artist and Selena Seifert) agreed that the standard of entries for the inaugural exhibition was exceptional. More than 80 sketchbooks were entered into the competition, including an under-16 section. 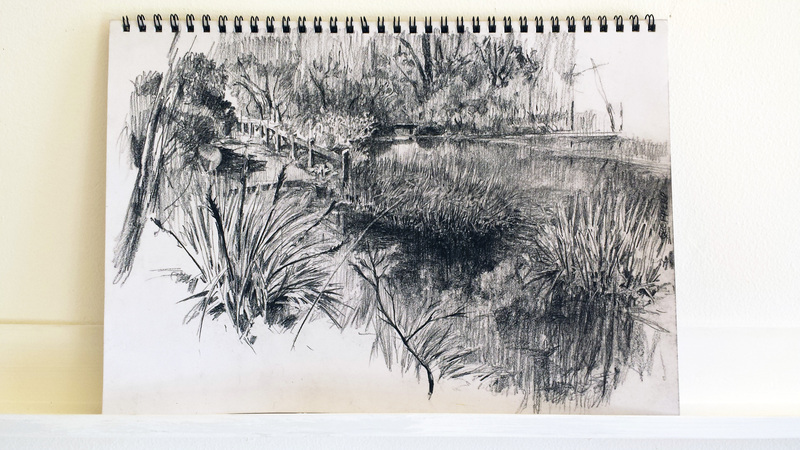 However, they could only award one winner for the $5000 acquisitive prize donated by Wild Valley Art Park at Wentworth Falls –Robert Shepherd of Glebe, who travelled and stayed at Katoomba during several days to complete his sketchbook. He said the experience was “a unique way to tour the Blue Mountains and work in the drawing medium while creatively responding the unique environment’’. Shepherd discovered the Draw on the Mountain competition through an email received from artsHub and believed it would be “an ideal opportunity to immerse myself in the mountains and draw this environment of wonderful expanse as well as intimate nature, not to mention its local community and its tourism culture’’. He spent five days, “from early morning until late afternoon, in a multitude of environments, experiences and weather conditions including howling gales while drawing at Norman Lindsay Gallery and an affable encounter with a small contingent of enthusiastic elderly Chinese tourists lining up to have their photos taken with me and my drawing on the Scenic World observation deck’’. “The mountains threw me a few challenges and a whole lot of rewards,’’ Shepherd said. “One thing that was truly rewarding though, was to see so many artists out and about drawing in their sketchbooks, a rare sight in today’s modern art practices. “I’m a ‘plein air’ drawer: observation of the real world is the greatest teacher. And one thing that I always make myself conscious of when drawing, is that when I draw a mark on a piece of paper, the importance, strength or weakness of that mark is not governed by the way it has been put down, but the way that mark responds to the other marks around it, the way it responds to its environment. “The Blue Mountains area is a truly beautiful place and a great teacher, whether it’s about drawing, nature or the people that live there or visit. Wild Valley Art Park, Blaxland Rd, Wentworth Falls, is owned by artist Selena Seifert and her husband and business partner Jasper Russell. They bought the magnificent 17 acre property two years ago and have transformed it into an eco arts centre, sculpture garden and artist retreat. Go to www.wildvalley.com.au for more details. Got to www.drawonthemountain.com.au to see more photos by Emma Rowan-Kelly of the Draw on the Mountain festival. 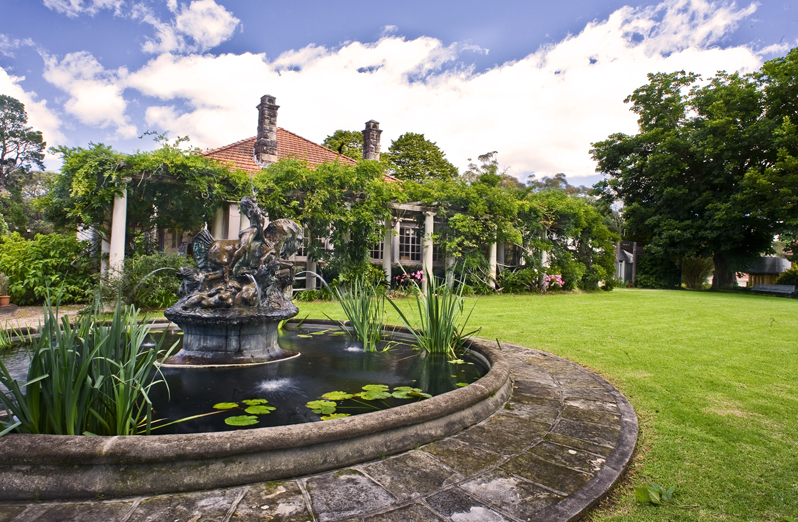 Share the legacy of one of Australia’s most famous artists and authors by becoming a volunteer at The Norman Lindsay Gallery & Museum in the Blue Mountains. The gallery and museum needs extra volunteers to help with shop sales and guiding at least one day a month. Training will be provided along with assistance from existing volunteers and staff. 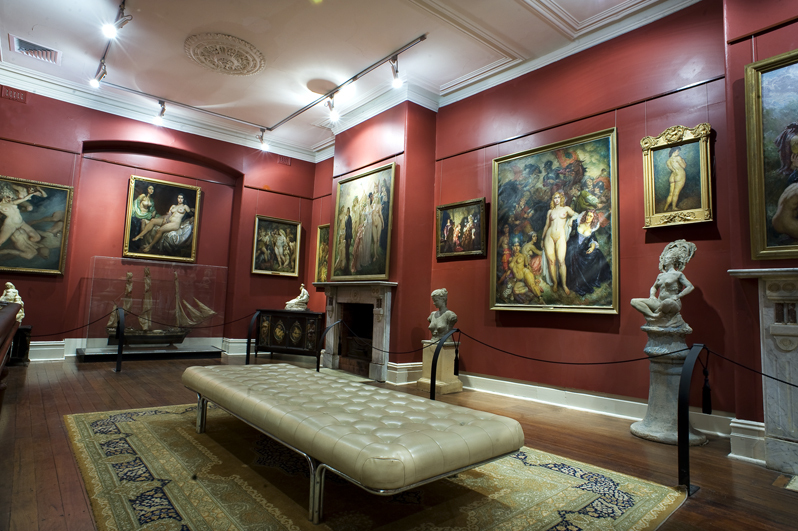 Norman Lindsay made an inspiring contribution to Australian culture and volunteers welcome and guide visitors from around the world through the property and narrate the stories and facts that made his impact so profound. Contact Amanda on (02) 4751 1067 for more information. Norman Lindsay Gallery & Museum, 14 Norman Lindsay Cres, Faulconbridge, will also celebrate its 40th birthday with a cocktail party from 6.30pm to 9pm on Saturday, November 9. Cost: $30 adults, $25 National Trust members includes cocktails, canapés and entertainment by the Paganini Duo.